Our day began at 8am in the Morning, where my food blogger friends and I met at The Aristocrat branch in Jupiter. I was actually starving in anticipation for this.. 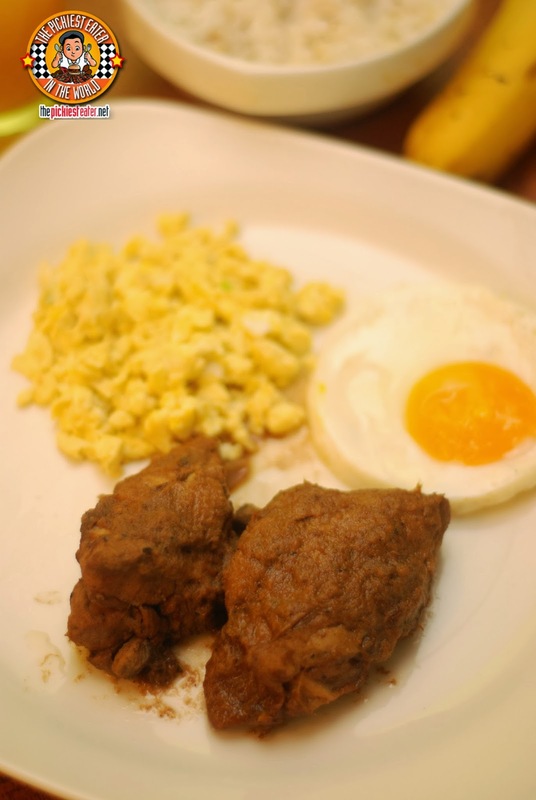 Trying out the breakfast dishes of Aristocrat! Though the Jupiter Branch of The Aristocrat has been standing for ten years, it has undergone a face lift, giving it a more modern vibe, but maintaining that classy, old school Aristocrat feel. 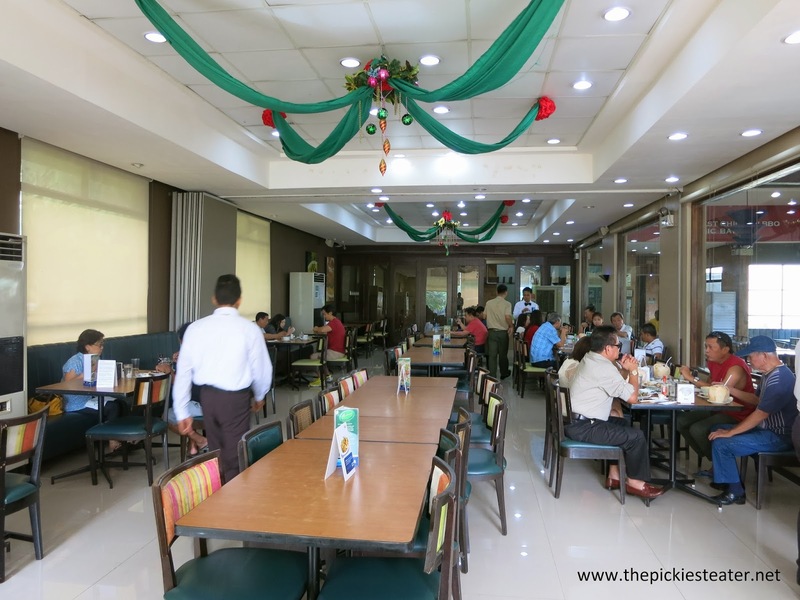 Our breakfast in the Jupiter branch would be the first of four meals that Aristocrat would prepare for us, making Rina and I, together with our blogger friends, feel like royalty. What was my first instinct when the waiter asked me what I wanted to order for breakfast? You guessed it.. Bacon! 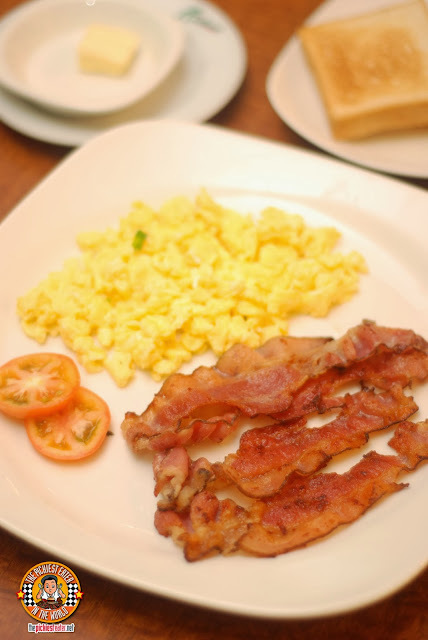 Aristocrat's Bacon Plate (P255) features three strips of delicious crispy bacon, two eggs in the style of your choice, rice or toast, and a drink. The bacon is awesome.. I love how the ends were blackened a bit, with the right touches of sweetness to it. I only wish the three strips were more of a mountain, but nonetheless, this was a great way to start your day. 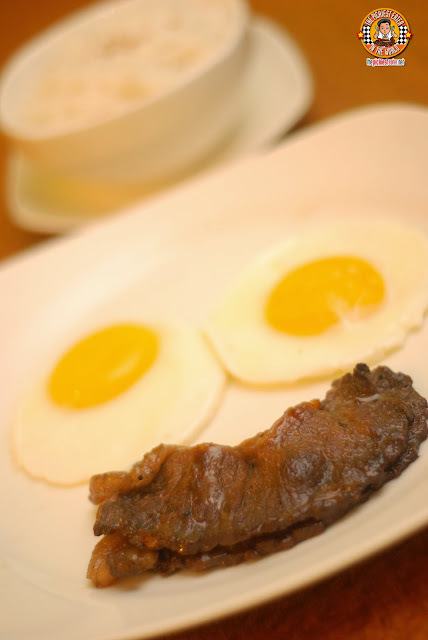 If you're looking for more Pinoy flavors to start your morning, fear not, for Aristocrat has your back! 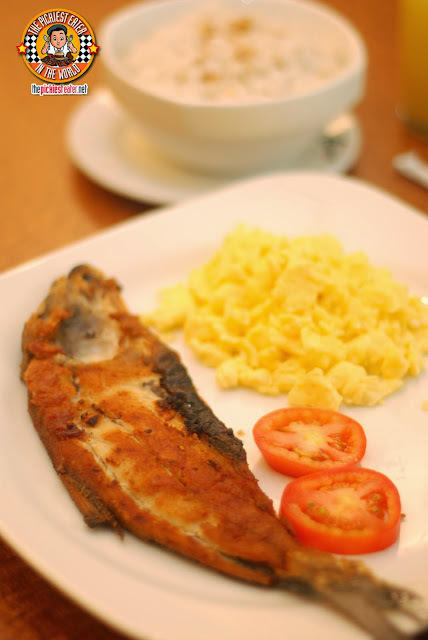 The Daing na Bangus Plate (P255) features a marinated piece of bangus, and fried to a stunning golden hue, and like all the items on the All Native Breakfast Menu, it is served with two fried eggs, garlic rice and your choice of coffee, hot tea, hot native chocolate, milk or pineapple juice. Aristocrat's take on the Pinoy classic dish, is called Aling Asiang's Chicken and Pork Adobo Plate (P255). 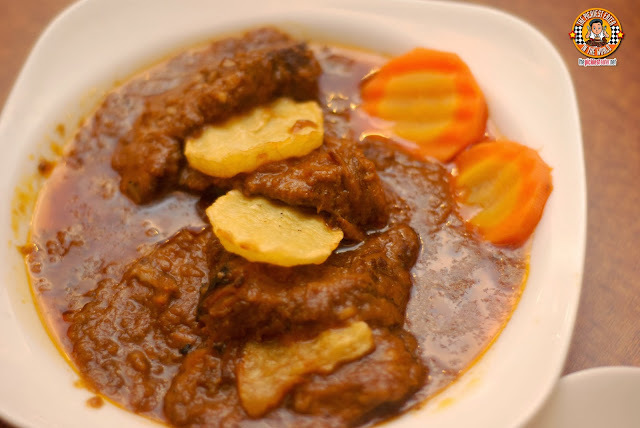 One bite of this delicious combo of the stewed Chicken and Pork pieces in a medley of different spices would be enough to make any true blue Filipino feel right at home. 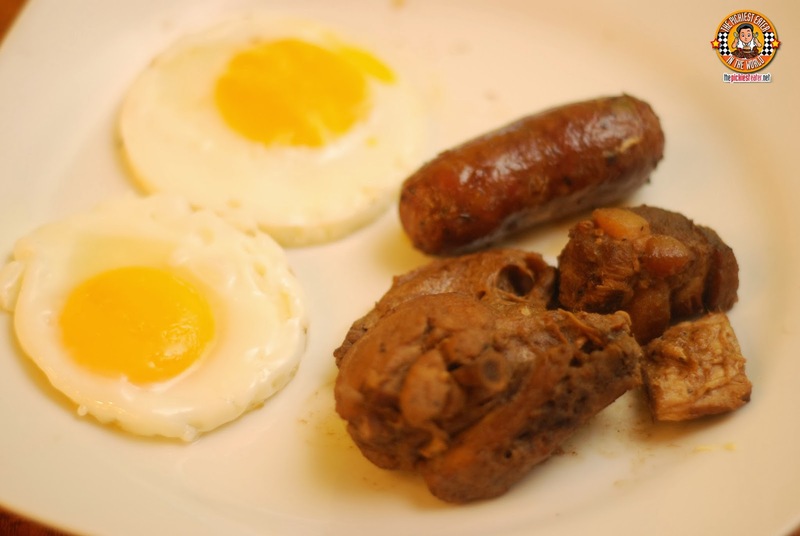 You can also opt to have the Longaniza with Chicken and Pork Adobo plate (P270). Aristocrat's Special Longanisa is one of the best I've ever tried, as it was juicy and plump, and those that like their longanisa with nice speckles of fat in it will be pleased (me). The Beef Tapa Plate (P255) features two thin slices of beef, that have a nice lining of fat on its edges for those that are into that (me). This was so good, even the plate looked like it was smiling hehe. 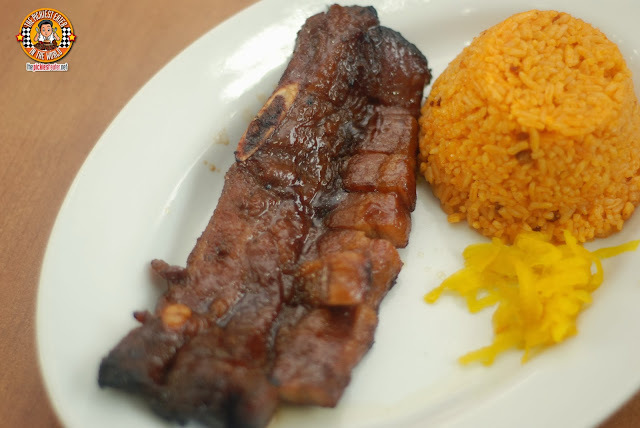 For those who like their food on the sweeter side (me), the Tocino Plate (P255) is something you must not miss. The chunky slices of pork are soaked in a sweet marinade for several hours, letting the flavor seep into its meat when it's cooked, creating a harmonious balance between sweet and savory. That was an amazing breakfast, right? So can you imagine how we felt upon being told by Mrs. Maryjo Reyes Ferraren, Marketing Head of Aristocrat, that our food trip has only just begun? 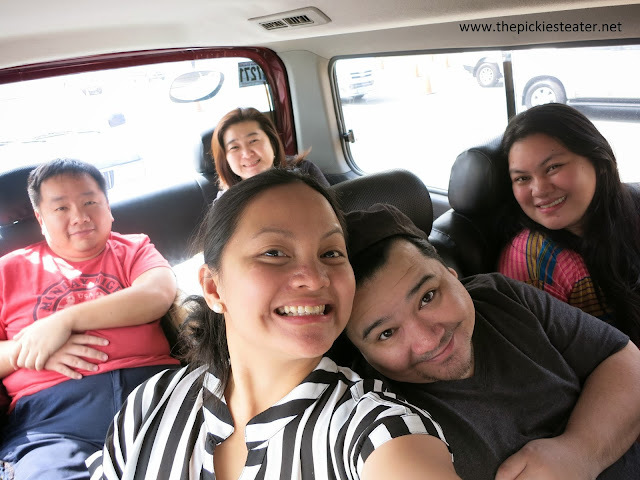 Our group head on out to Subic for the day, courtesy of Aristocrat! 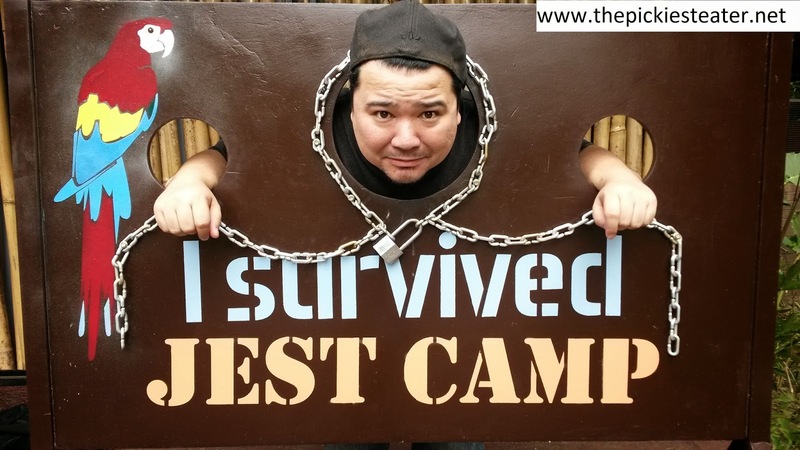 We arrived at Subic at around 1pm, so, despite the huge breakfast we had (and since we're food bloggers) we were more than ready for the next meal (Call of duty, son.). 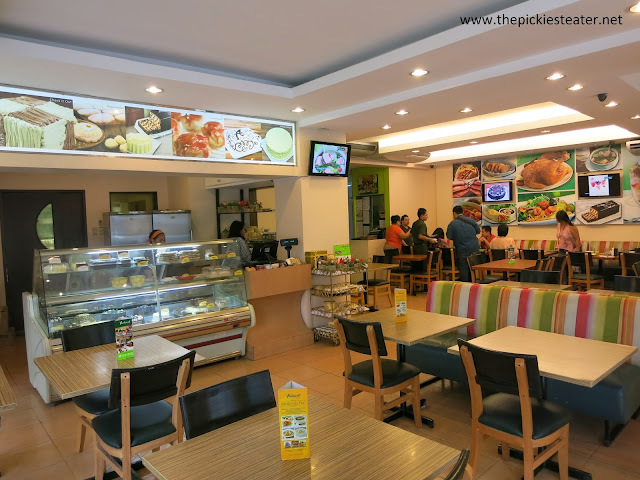 The restaurant is quite spacious and has that relaxed vibe that makes you feel right at home. 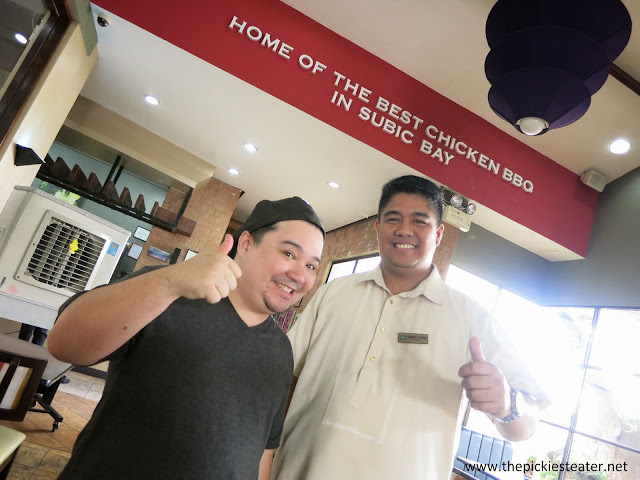 But nothing makes you feel more at home than the warm greeting you get by every single person in Aristocrat Subic's staff upon entering, led by Restaurant Manager, Ramil. 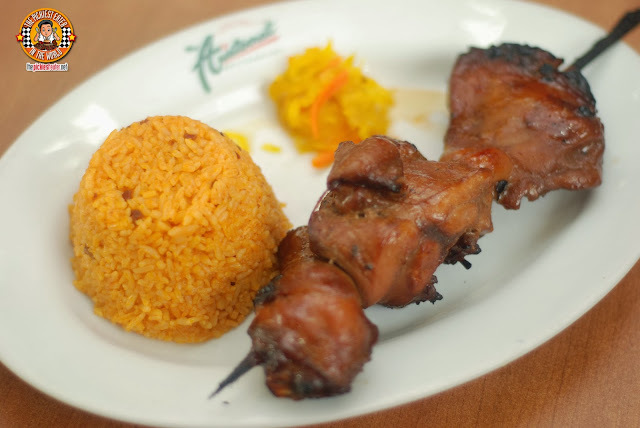 We were re-introduced to the dishes that helped put a stamp on the Aristocrat Legacy: THE BARBECUE!!! 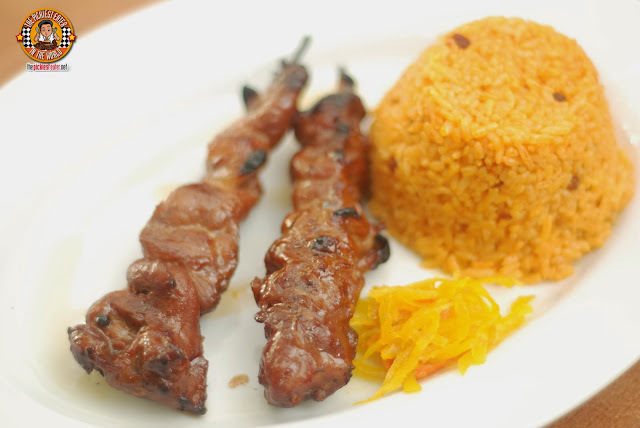 The Pork BBQ features lean cuts of pork, marinated in the classic Aristocrat way, and like all the BBQ Dishes, served with Java rice and atchara. If you love chicken BBQ, you know all about the hassle of bones, which is why Aristocrat's Boneless Chicken BBQ is so popular. You get the amazing flavor that Aristocrat is known for, with out having to stop every so often to pick out them' pesky bones! My favorite though, is the Pork Spareribs Barbecue. I'm really a pork belly guy, so to me, this was the best by default. It was a little leaner than I would have preferred (Meaning I was looking for a bit more fat), but flavor-wise, it was spot on. 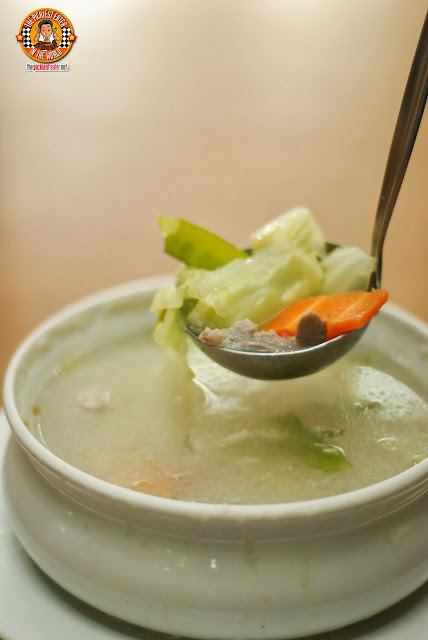 While I was focused on the Barbecue, Rina was slurping on the Hototai Soup, which was made with generous helpings of Chicken, pork, shrimp, vegetables and egg, swimming together in a thick, creamy broth. 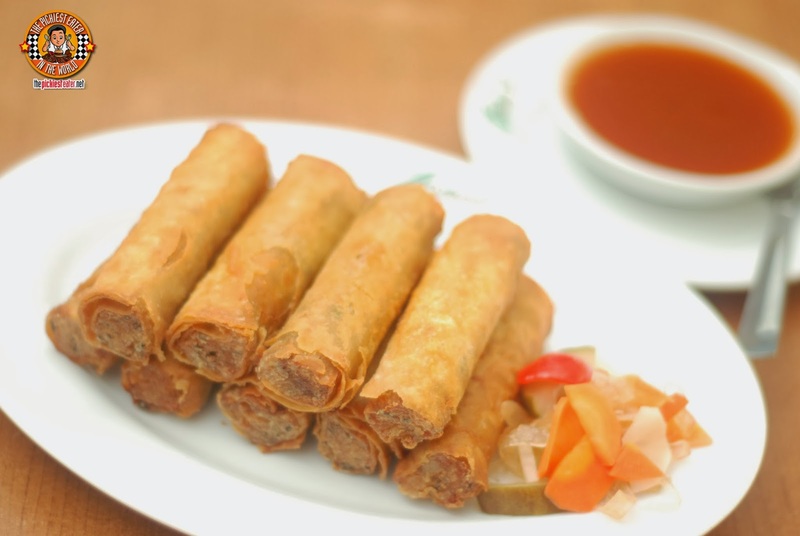 I would easily rank Aristocrat's Lumpiang Shanghai as one of my favorites. It's thick, and packed with loads of meat. My companions were dipping it in the Sweet and Sour sauce, but for me, I was happy to eat it all by itself. One of the things you'll notice about Aristocrat is how they certainly don't scrimp on their ingredients. 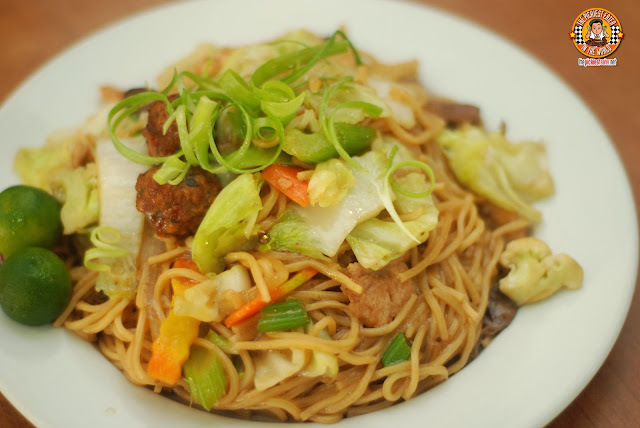 The Pancit Canton (P350) was seasoned perfectly, and every bite of the luscious noodles had an amazing flavor that demanded another. Afterwards, we visited the JEST Camp. Wait for Rina's Rainbow's post on it! As soon as we were done with that.. guess where we went for merienda? Yup.. Back to Aristocrat Subic! 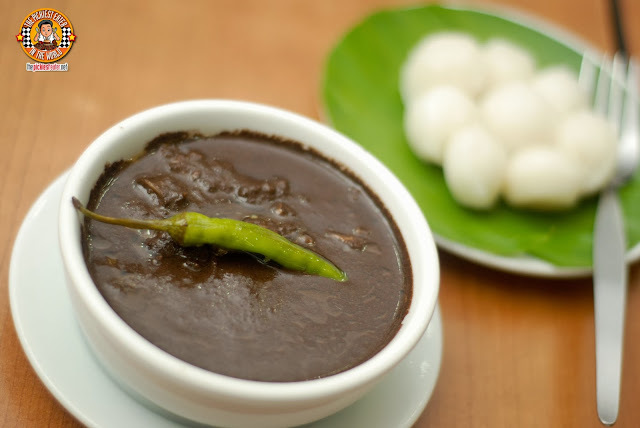 Everyone was raving about the Dinuguan (P110), but being the picky eater that I am, I decided against eating the dish made with animal's blood. Aristocrat's version had a little twist to it.. Instead of pork, as is the usual tradition, they instead used Beef. The Arroz Con Caldoz (P120), is something you can see yourself craving for on days where you're feeling under the weather. It was filled with ox tripe and entrails, parts that I don't eat, so Rina gladly accepted it as part of her share. 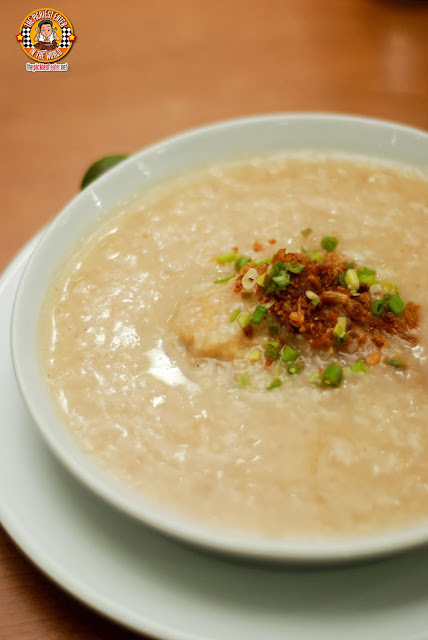 I focused on the delicious rice porridge, that was seasoned immaculately. Normally when I eat Arroz Caldoz, I add a little bit of of Patis (Fish sauce), but this time, it was totally unnecessary. I was elated to try the Adobo Flying Saucer (P95) once again. 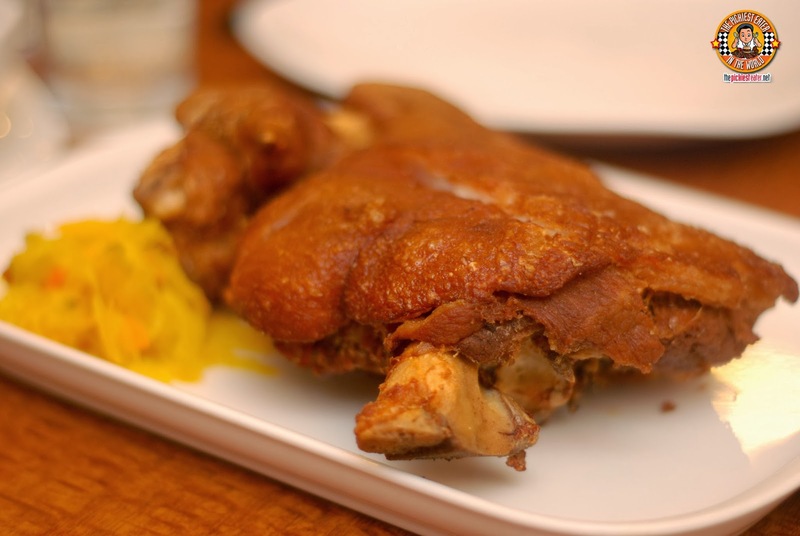 The Adobo itself is exceptional, and it really works as a sandwich as well. Light enough for it to be perfect for merienda, but heavy enough for you to have it as a meal when needed.. (Well maybe two of them). 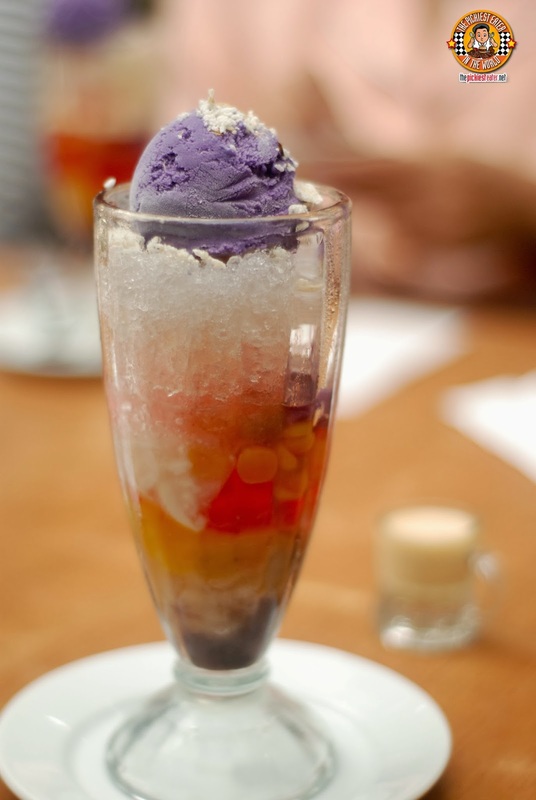 A Filipino merienda isn't complete without adding the classic drink to wash it all down.. Gulaman at Sago (P65). And capping off the delicious merienda, was Aristocrat's Halo-Halo (Special P125/Regular P90). Assorted sweetened beans and fruit with ice shaving, topped with purple yam, custard and rice puffs, this was the ideal palate cleanser. You'd think that after everything we did that day, Aristocrat would call it a night, huh? Guess what? We weren't done yet. Not even close. We head on back to Manila.. Back to the Jupiter branch, For Dinner. 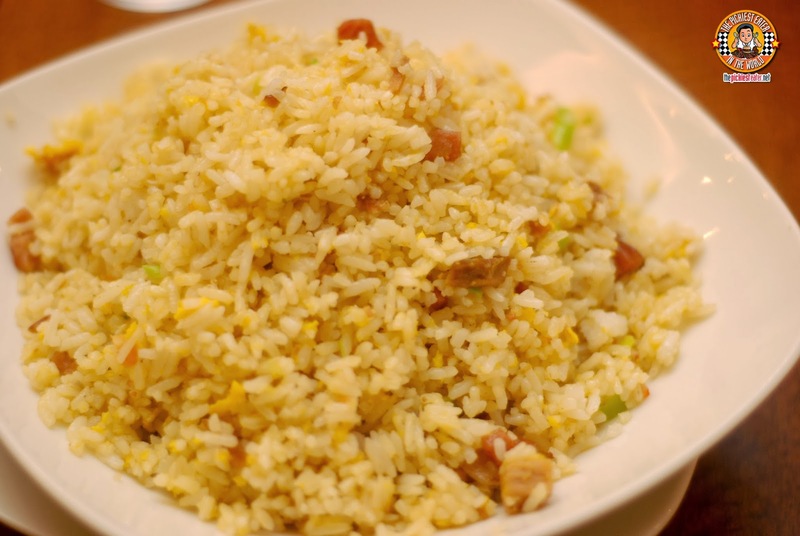 I could eat Aristocrat's Shanghai Fried Rice (Big P210/Small P80) sans any other viand if needs be. It's loaded with bits of tasty pork, shrimp, ham and sausage, making it a meal in itself! I've made no secret that I'm not a fan of vegetable dishes, so Rina gets a kick whenever she sees me enjoying one. 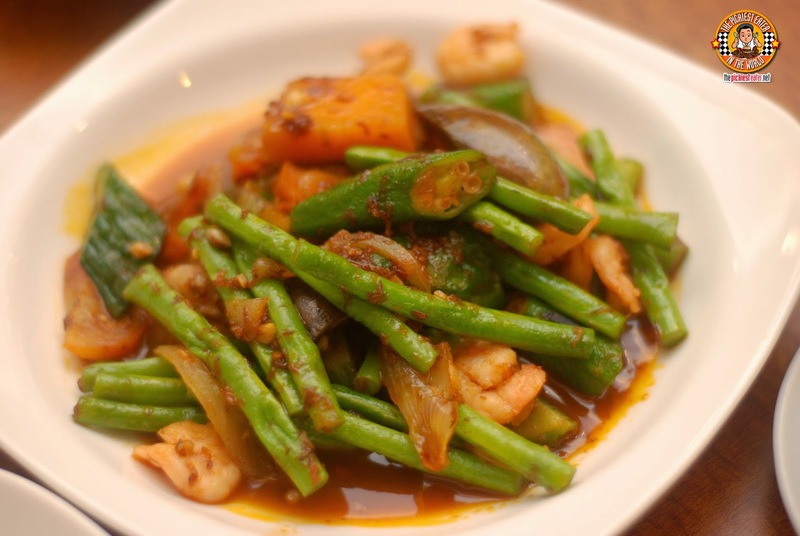 I'm not going to lie to you, I really did enjoy Aristocrat's Pinakbet (P245). The medley of vegetables to accompany the string beans, included squash, one of the few dishes that i actually really like. Lovers of Sinigang will be very pleased with Aristocrat's Sinigang na tiyan ng Bangus (P340). 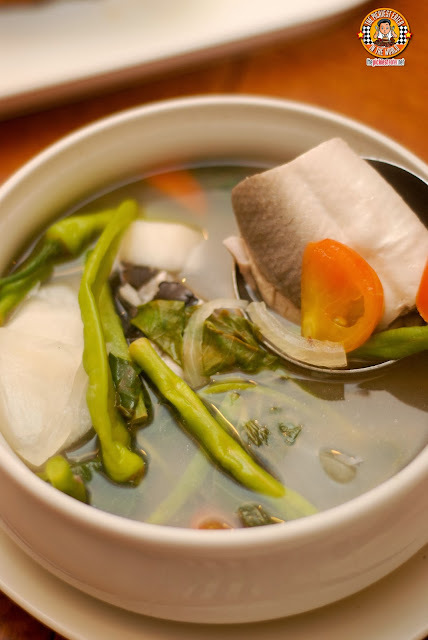 The sour punch of the broth was taste bud tickler, but it was the healthy heapings of fatty milkfish belly that proved to be a hit. 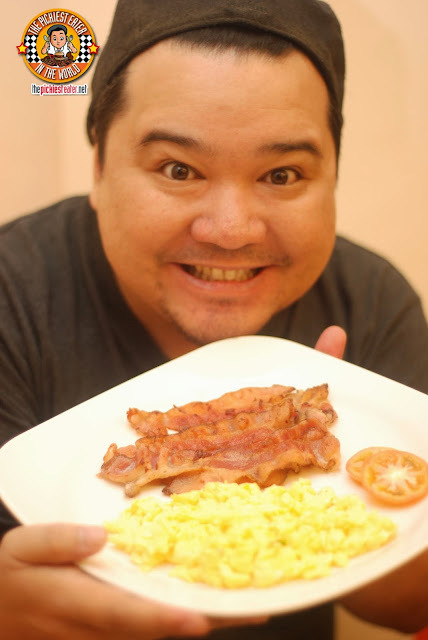 I have an aversion to tomato based food, which is why I never really got into Mechado (P395). If I see it on the menu of a restaurant, chances are slim to none that I would order it. Aristocrat made me feel like a fool for missing out on a dish so amazing, I decided not to care that I would most likely get an acid attack the next day. The beef itself was extremely tender, while the rich sauce gave a tangy zing to the meat. I'm gonna go and say it. I like Aristocrat's Chicken Honey (P430 Whole/P250 Half) more than the fried Chicken of Max's. Don't get me wrong. 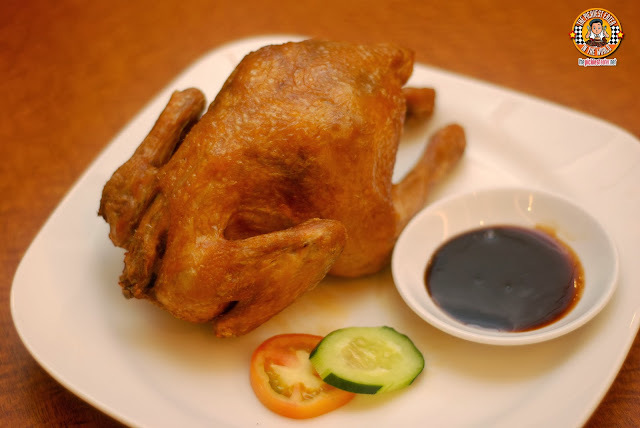 I like Max's Chicken very much, but this was on a whole new level altogether for me. 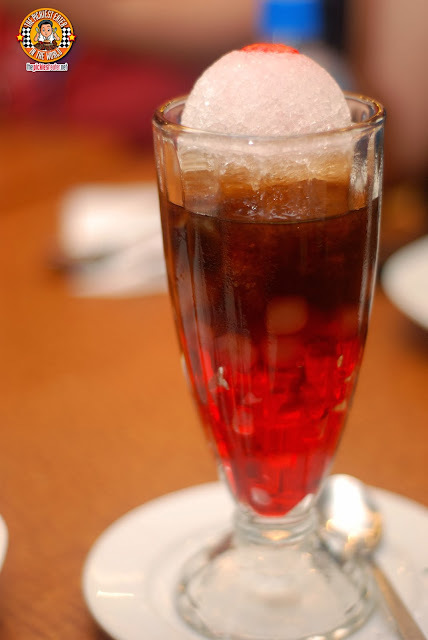 It had a wonderful crispiness, but with a delicate touch of sweetness that just made me crave for more. 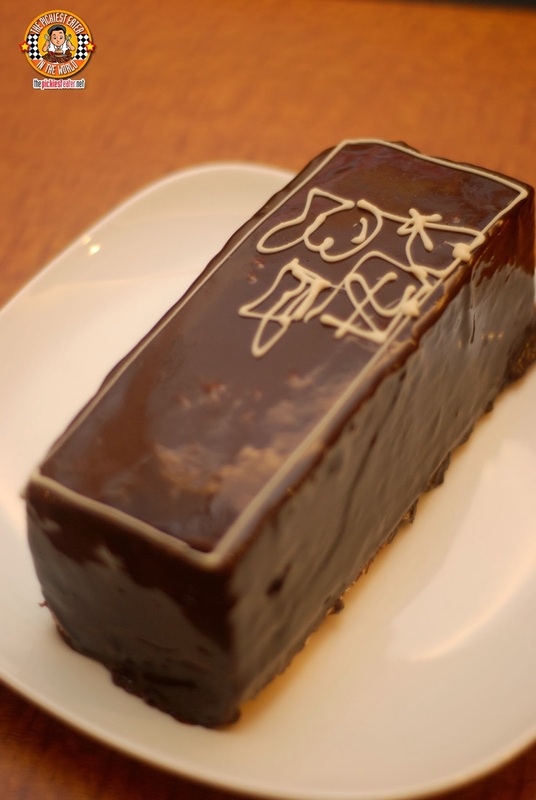 Then, out of seemingly nowhere, the waiter brings out the gorgeous Torta Delos Reyes (P690 Whole), one of the signature pastries of Aristocrat's Bakeshop. I swear, the whole room got quiet for a minute as the waiter did a slow march to our table, with the torta in his tray. 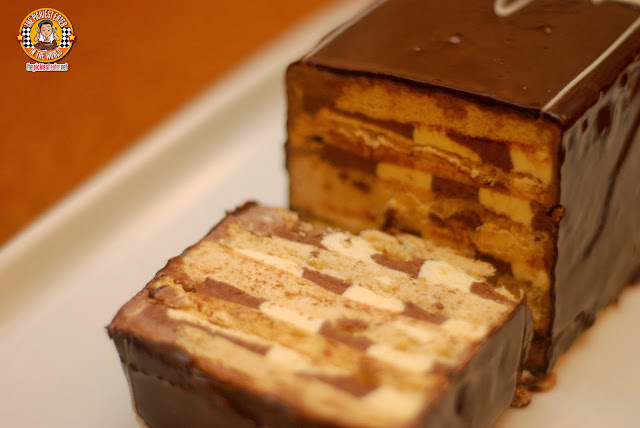 The technique in making this looked really impressive, from the smooth, silky interior, to the precise symmetry of the vanilla and chocolate checker marks, this dessert is the not only looks beautiful, it tastes amazing. On that note, our day finally came to an end. And what a day it was. No restaurant can keep running for 75 years unless it maintains the highest standards of food preparation and service. 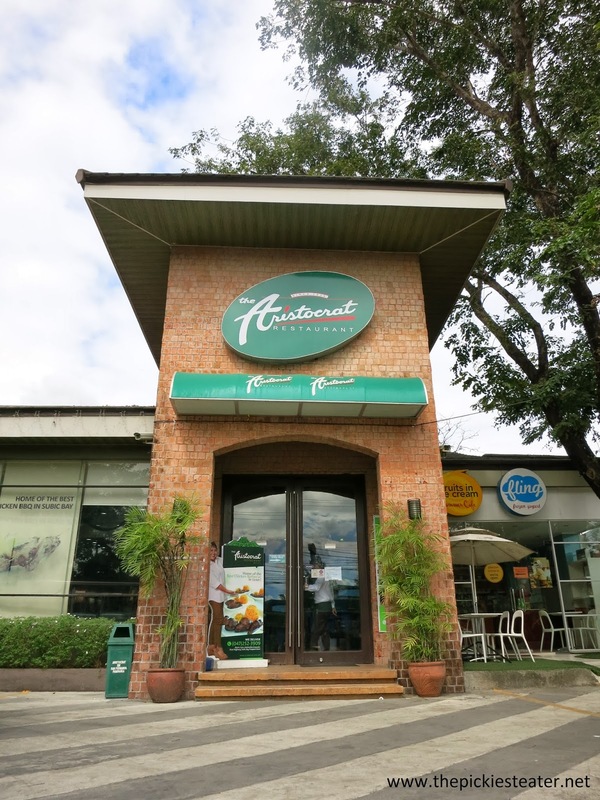 Aristocrat is proud icon of the Filipino cuisine, and their excellence shines even brighter, more than 7 decades later. Thank you for the amazing day, Aristocrat! Stayed tuned for a GC giveaway happening in January! We also love their chicken honey! <3 And the branch in Roxas Blvd. 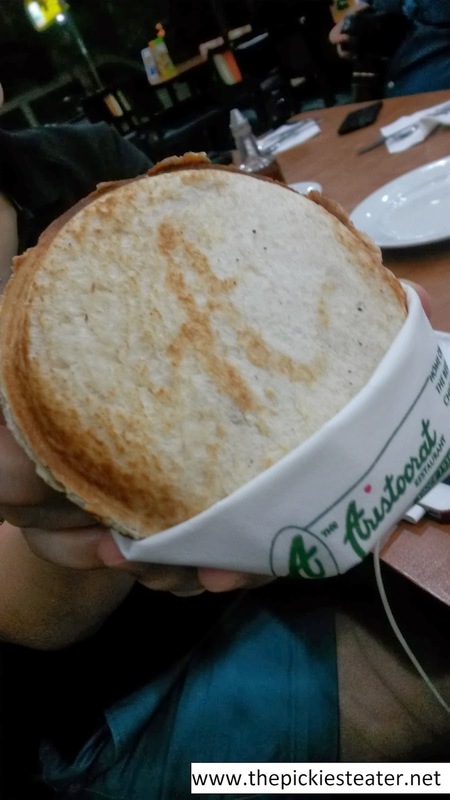 is open 24 hours so we make a run whenever we get a craving for aristocrat's best seller. :) Not to be missed is their pancit canton. Yum! Hi Joei! Its amazing how a restaurant has touched so many lives, no? 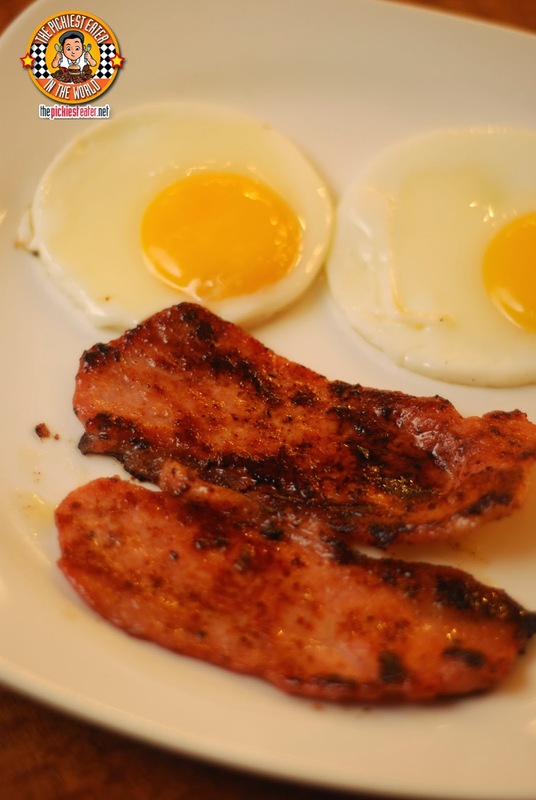 More breakfast for me then hehehe.. but yes, both BBQs are awesome!